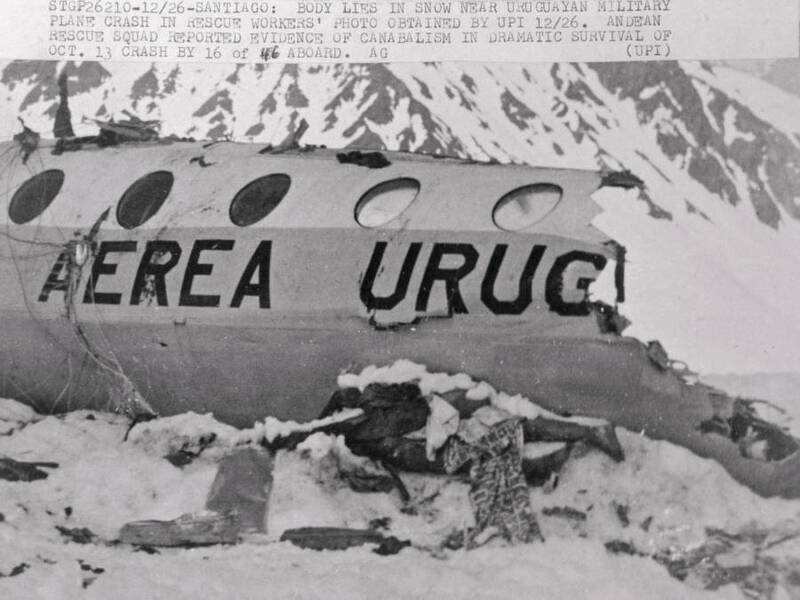 A decomposing body lies in snow outside the wreckage of the charted Uruguayan plane that crashed in the Andes Oct. 13, 1972. Roberto Canessa and Nando Parrado were two of the 45 passengers who boarded Uruguayan Air Force Flight 571 on Friday, Oct. 13, 1972. They and 17 of the other passengers were members of a Uruguayan rugby team. Together with their teammates and family members, they were traveling over the Andes in the chartered plane to play a match in Chile. 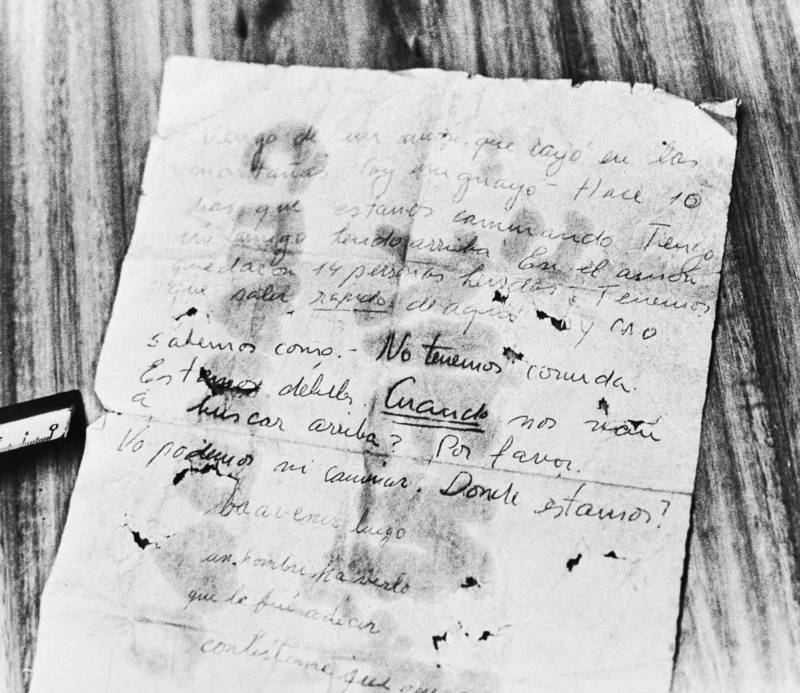 Canessa and Parrado had no inking as they settled into the plane’s cabin that not only would they spend a harrowing 70 days in subzero temperatures at the top of a mountain, but that they would soon be dining on the flesh of those around them. Roberto Canessa first realized the danger they were in as they flew through the Planchon pass, “where we traveled in cloud cover so heavy that visibility was nearly zero and the pilots were forced to fly on instruments.” The pilots had, however, misread the instruments and only saw the ridge of a mountain rising in front of them when it was already too late. The plane smashed into the peak in a collision that ripped off the wings, instantly killed several of the passengers, and left the survivors stranded in the frigid temperatures atop the Andes. 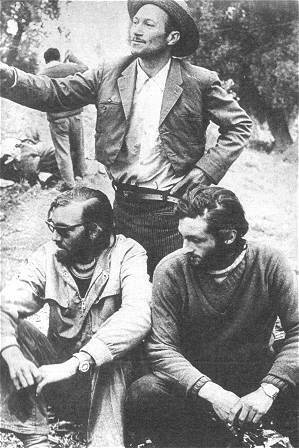 Around 60 days after the crash, Roberto Canessa approached Nando Parrado and simply said, “It’s time to go.” Together with another survivor (Vizintín, who later returned to the wreck after the group began running out of food), they began the arduous trek down the mountain in a desperate attempt to bring back help. During the miserable 10-day journey, Parrado declared to Canessa “We may be walking to our deaths, but I would rather walk to meet my death than wait for it to come to me.” Canessa replied, “We have been through so much. Now let’s go die together.” At the end of their journey, they found not death, but hope. The incredible rescue made headlines all over the world, although the story of the miraculous survival was soon overshadowed by the reports of cannibalism. Although the public initially reacted with horror (even though a Catholic priest had declared the survivors had not sinned since they had only resorted to cannibalism in extremis), the team gave a remarkably honest press conference explaining their desperation and pact to each other, after which the outrage died down. The survivors shared a truly unique bond after their experience, yet one that was not marked by shame.